~~Elevated Southern comfort food: Dogwood Southern Table & Bar put the finishing touches on its SouthPark restaurant this week. The end result has turned out better than owner Jon Dressler could have hoped for in the 4,100-square-foot space in Sharon Square. "It's amazing when each detail is layered on how much prettier the place becomes," Dressler says. This is the third Charlotte-area restaurant for Dressler and his wife, Kim. 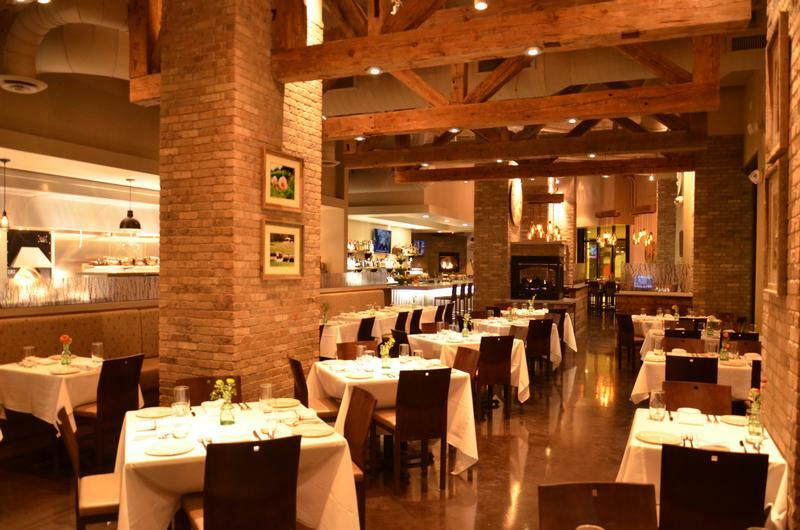 They also operate Dressler's restaurants in Huntersville's Birkdale Village and The Metropolitan. The goal with Dogwood was to create an eatery that combines cozy, comfortable and classy, Dressler says. The decor combines neutral colors, light-colored brick and stained concrete floors. Reclaimed barn trusses from an 1850s farmhouse serve as a focal point, as does a fireplace at the heart of the restaurant. The restaurant seats roughly 130, including eight at the chef's table with front-row seats to the kitchen. The venture will offer "elevated Southern comfort food" in an upscale casual environment. It will be open for lunch and dinner service.